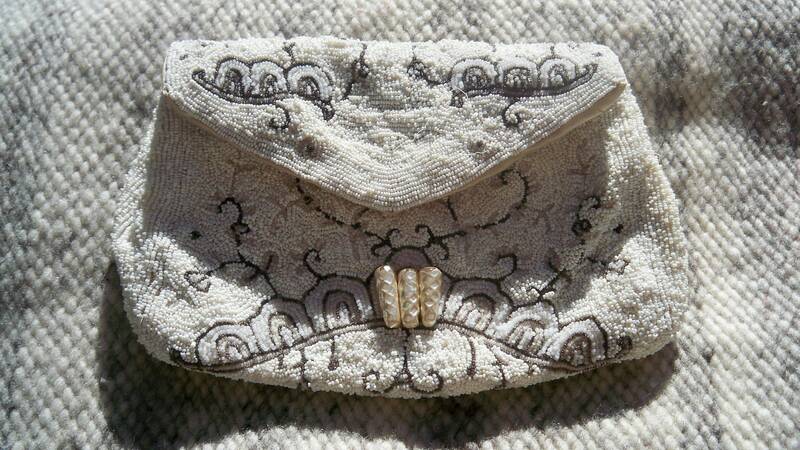 French Art Deco Purse . Hand beaded and handmade. French bag from 1930's. Floral Design. Heavy worked. 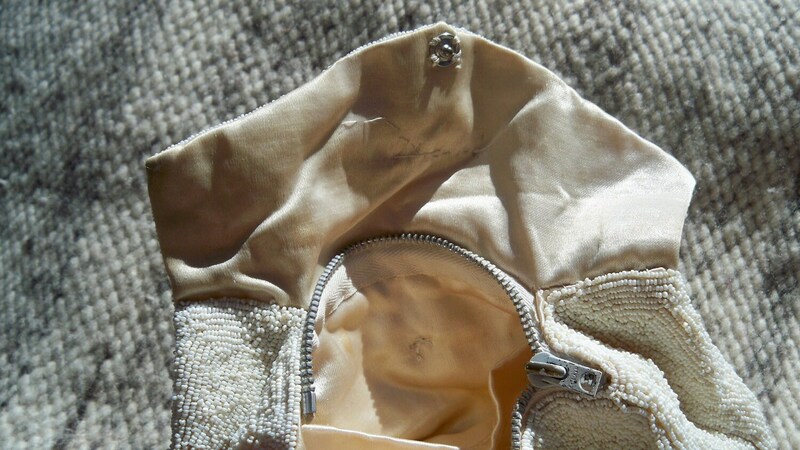 With a zipper, a snap fastener and an inside pocket.Cream color silk satin lined. This bag has a very useful trick : a loop on the back side to hook the belt ! 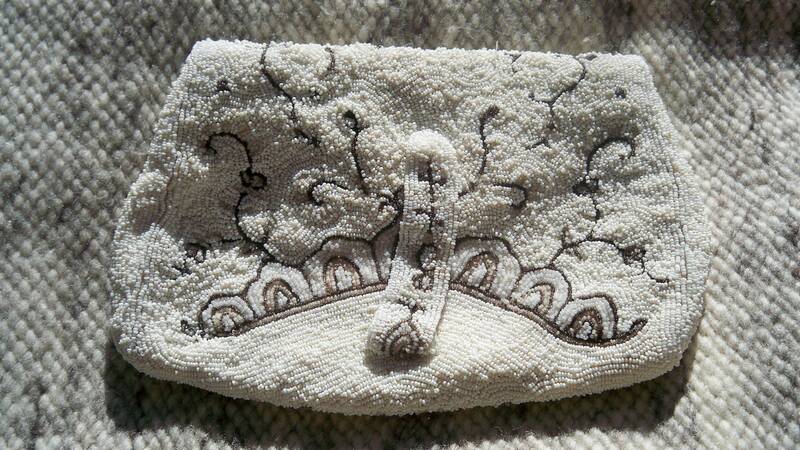 White color beaded and designed with beige and brown. 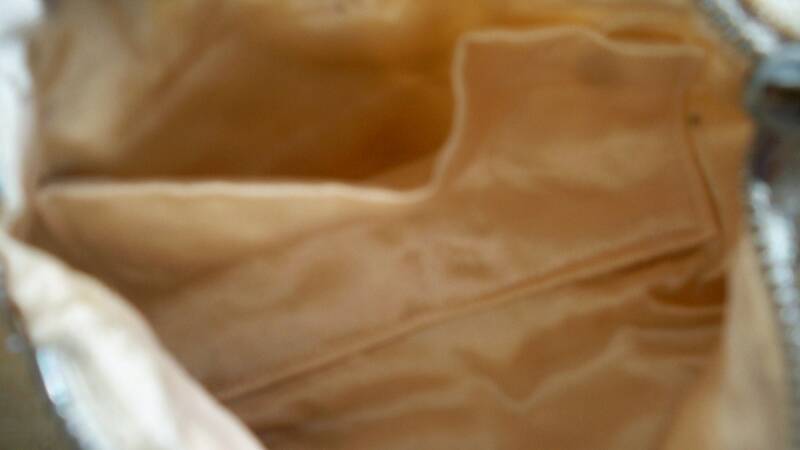 3 gorgeous twisted large and long mother of pearl beads are sewn on the front side. Size 5 in. x 7 in. Gorgeous and very unique French Art Deco Purse.